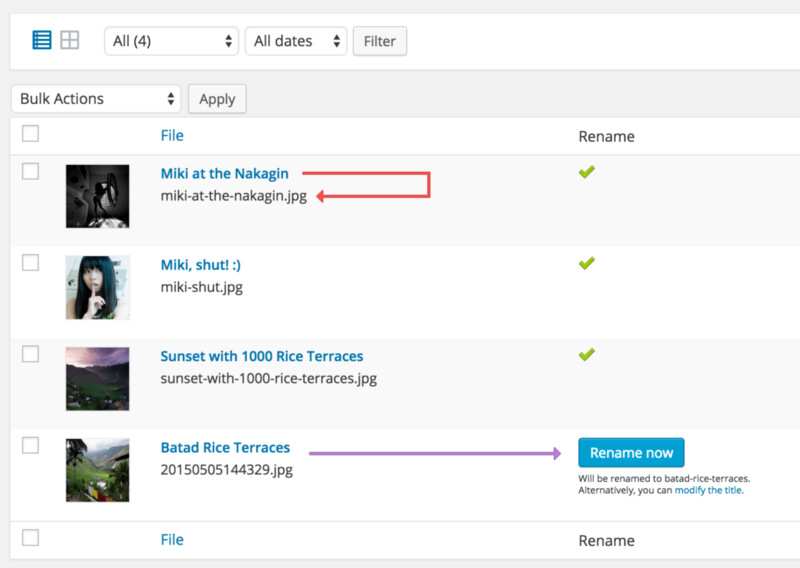 Media File Renamer renames automatically or manually your media filenames (depending on their titles, the posts or products they are attached to, or custom rules). The references to those files are also updated. For more information about Media File Renamer, check this: Media File Renamer. The Yearly Standard license is recommended. This license will always work as long as it is active. The lifetime license is, of course, active forever. Are you a happy user of the free version, and you think you have valuable feedback for us? We can share with you a discount if you help us: contact us. If you don’t like it, or it doesn’t work for you, no worries. I will refund you immediately. Please contact me within 3 weeks in this case.